It's an obvious fact and reality that construction work creates debris. 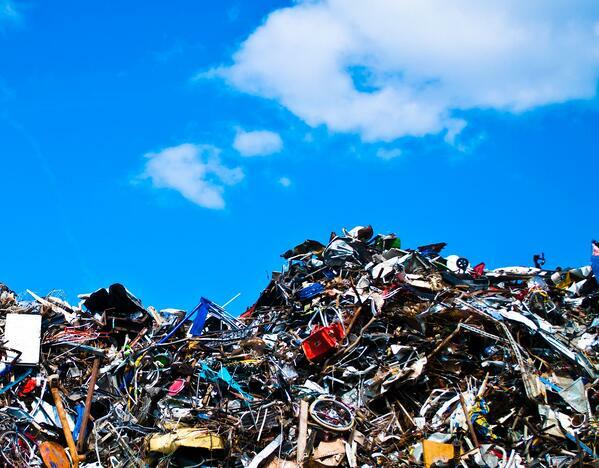 There is waste from building materials, packaging, and demolition. There can be debris from collateral materials that end up on the job site. And there is sometimes "green" waste from trees and other plants that have been removed for construction. Whatever the source, construction requires construction waste removal. And this brings with it the dilemma of how to best deal with it. While it may not be the case with every construction project, many contractors have to deal with legal and safety considerations when it comes to construction waste removal. For example, some of the materials used, or discarded during demolition, are considered hazardous materials by the state of California. These materials often have to be handled as hazardous waste. In addition to the regulatory concerns, too much accumulated debris on a job site is not only unsightly, but potentially dangerous and represents a safety hazard. So the question remains: How to best deal with the ongoing need to clean up and haul out the waste and debris generated by every construction project? For many contractors and even sub-contractors, the work of cleaning, removing and hauling off the debris collected on a job site is usually not high on their priority list. It's not that they underestimate the importance and necessity of the task, but that it doesn't represent "productive" labor on their part of their crew. In other words, time and money spent disposing of construction waste doesn't generate revenue for them. One more reason is that it is sometimes difficult and dangerous work. Hauling broken slabs of concrete, for example, or materials with fiberglass or lead-based paints, all present a potential health and safety issues for those cleaning it up and those tasked with properly disposing of it. In addition to all this, there are the costs associated with various dumping fees and the fuel, wear and tear, and mileage with their own trucks. Consequently, it gets done, but for most GCs and contractors, there is the nagging question of "Is there a better way?" Like many other decisions a contractor must make, there are a few options that can be considered for waste trash removal. On one hand, a common option is to simply hire the job out to some local guy with a truck and hope it gets done right and doesn't take too long. Although this might seem to be a viable option, the truth is you have a higher risk of running into additional problems using a "guy with a truck". It may appear to be cheaper than hiring a licensed and professional firm, but in reality, the risks outweigh the benefits. If something bad happens, that guy in a pickup truck could end up costing you a great deal more in the end in terms of both time and money. There are real issues of safety, potential for damage or theft, and other legal risks. In other words, the seemingly lower cost could end up costing you far more than you anticipated. The bottom line is that, while finding someone else to handle your construction waste removal is a good approach, finding the right person is critical. Trash hauling and site clean-up might be considered “part of the job” for contractors, bit it really doesn’t have to be. When you consider that every hour your crew spends picking up debris, cleaning the site, and hauling and disposing of the material, is an hour NOT spent generating revenue on a project. And the bigger the job, the more the opportunity costs add up. Add to that the possible costs of hazardous material disposal and even required training for your employees, the benefits of outsourcing these tasks become more attractive. Junk King provides an efficient, safe and eco-friendly construction garbage removal service so you don’t need to worry about the pick up or disposal of the debris after your construction project is complete. Whether you need our services several times during a project or just once after it is complete, our hauling professionals will ensure that the junk and debris is out of your way so that you can get on with the job of finishing your construction project. Our team specializes in commercial junk removal. And we can be at your site in minutes, so call us today! You can be assured that our crew is fully insured and well-trained, so you can trust them to get rid of your debris in a professional and courteous fashion.